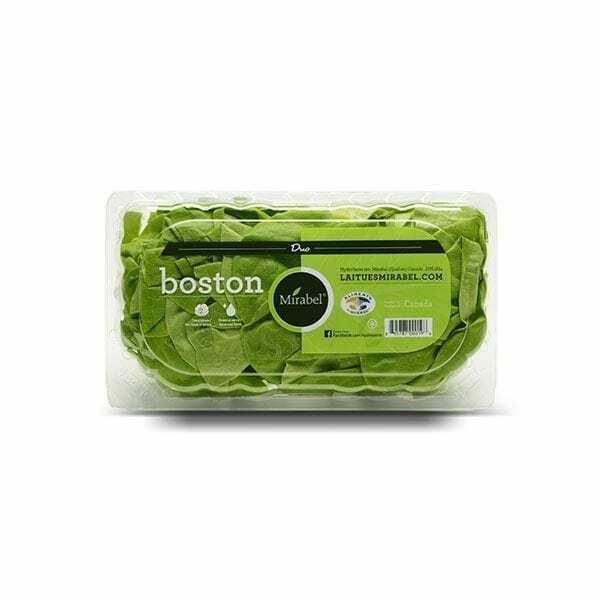 Our boston (or butter) lettuce, packed in a duo pack without its roots. Sold 6 units per case. © 2019 Hydroserre Inc. All rights reserved.